If it wasn't for this blog, I wouldn't have half to the friends that I have. Maybe more! MOST of my BFFs I've met through my fandoms! I am eternally grateful for fandoms and the people they have brought into my life! 1. Lamplighters. A Silent Film is our band here at The Nerdy Girlie. Two Lamplighters I talk to on the daily. One of them helps me with the editing of important blog posts and is working with me on my 100 Cups of Coffee book. I cannot imagine a day without saying a HI to each other! 2. Geek Girls. Again with ladies who have changed my life for the better. They have made my time in LA special and have been there for me in these past crazy Time and Space adventures. Need some awesome lady nerds in YOUR life?! Check out Geek Girl Brunch they have chapters all over the world! 3. Sherlockians. 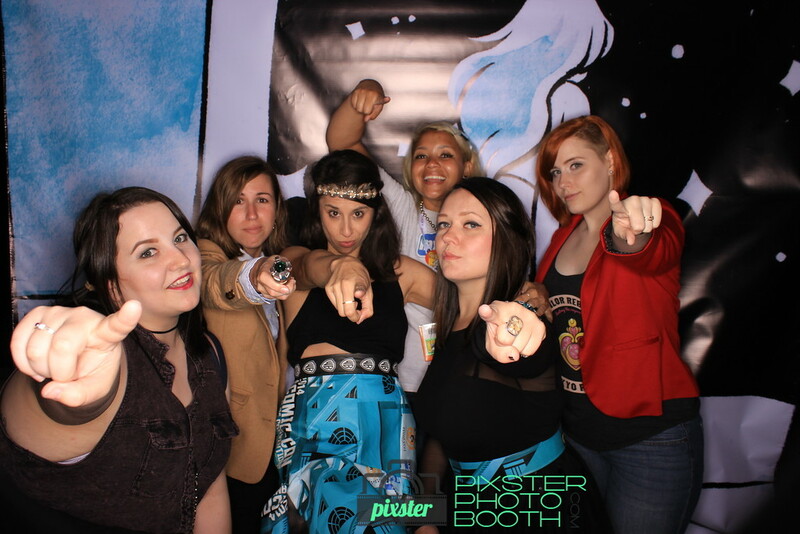 For three years I've been blessed to help throw the most rockin', nerdiest party at San Diego Comic Con with some AMAZING women. I've gained tons of experience and of course life long friendships. We pick up exactly where we've left off each year like no days have passed! That is true friendships! 4. Nerd Bloggers. When I first began my blogging journey I was searching for others doing what I was doing. Tony and Liz were there with me from the beginning and from then my nerd blogging crew grew. Every time I get to meet a new blogger friend IRL is the best day ever! We love each other so much online and it carries over to our first IRL meeting. THAT says something about our community! 5. SDCC. The reason I started this blog three years ago. Who would have thought a place I happened upon seven years ago would have such an impact on my life. I've become the writer I've always wanted to be, have made amazing connections and even sat on an SDCC panel! I never dreamed of that happening when I stepped into my first con in 2009. Thank you nerds for all the love and support you have given me over these past crazy years. They've felt like a dream come true. I love that I have found my true voice and that you all want to listen to it! Tweet me YOUR favorite fandoms and I'll RT it to the Twitter-verse! I love that so many are putting bloggers on their lists! This is so great. I think it's amazing that you were able to be on a SDCC panel. That is such a cool accomplishment!